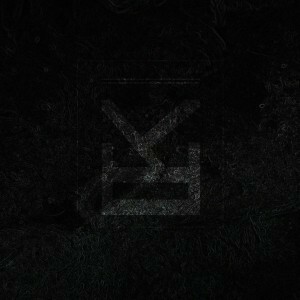 Background/Info: Behind Lux Kablage is hiding a solo-project set up by Swedish artist Jesper Olsson. “Oossoo” is the 2nd album by Lux Kablage. Content: Lux Kablage invites listeners to start a mysterious journey through their own imagination. This is the kind of ambient work, which is pretty abstract. It’s a sonic patchwork made of field recordings and crescendo sound waves bringing you into a weird and undefined dimension. There’s less variation although there are some little sonic details, which you can better discover by using headphones or playing the record at a louder volume to really catch the essence and the visual power of the work. + + + : To listen and especially to enjoy this work you have to disconnect yourself from your ‘action modus’ to fully catch the obscure power emerging from the writing. – – – : This is not what I would call an ‘easy’ work, which I’m afraid will be cherished by a restricted number of dark music lovers. Conclusion: Lux Kablage exposes the mind to a dangerous experience where you possibly will encounter your darkest and most perverted side. The subtle aspect of the album is hidden behind little things. Best songs: “And Our Golden Monument Sank Into Depravation”, “Devasted Upon The Hills”.